If your car stereo or audio problem is not listed, please email us Car Stereo Repair. All problems are not listed. ASK Hi-Fi Amplifier - Made in Italy Distorted or no audio output, missing channels, snapping and popping at higher volumes, up to $350. BP1-ROM / 3160-0003382-01 / AD 08 0474 Face sticky and deteriorating? We have heard this can be repaired, not by our repair facility. NO repair. Sony XR-F20 Cassette does not work. This is cracked and deteriorating plastic gears. Gears, gear plates, and mechanism no longer available. NO Repair. Parts no longer available from Sony. Replace stereo. Mechanism original part number X-3371-710-1 crosses to X-3371-710-6. 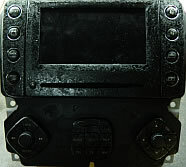 Sony Aftermarket Car Stereo No Power, repair rate range depending on problems found after repair of No Power, $150-250. (See Troubleshooting below before sending for repair). TROUBLESHOOTING for No Power! 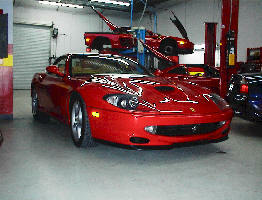 Older Ferrari's have Sony Car stereos installed in the USA. For No Power, we found this problem may be at the fuse block on the passenger side of the vehicle. "Scotch Locks" are used when installing car stereo, Constant +12v (yellow), Switched +12v (red) and ground (black) wires. "Scotch Locks" are the weak links, making intermittent or open connections. Remove "Scotch Locks" and Do It Right! All Ferrari stereos seen in shop have been Alpine, Sony or Blaupunkt. We presently do not have a large enough data base to list common problems with these systems. They are aftermarket stereos. We repair only Factory Car Stereos. Please see our Car Stereo Removal and Installation Instructions.